From September 12 till October 25, 2015 at the New building of the National library of Russia (Saint Petersburg, Moskovsky prospect, 165-2), in the hall of the second floor the exhibition “The collection of books and manuscripts of academician N.P. Likhachev (1862-1936): on the 90- year anniversary of the Paleography museum of the Academy of Sciences of the USSR establishment” will take place. The exhibition is organized by the National library of Russia, Saint-Petersburg institute of history of the RAS, Scientific library of the SPbIH of the RAS (department of the Library of the RAS), Saint-Petersburg branch of the Archive of the RAS. Photos, books, and copies of manuscripts from both N.P. Likhachev’s collection and personal library and funds of the Paleography museum will be presented in three sections of the exhibition: 1. N.P. Likhachev as the founder of the Paleography museum; 2. 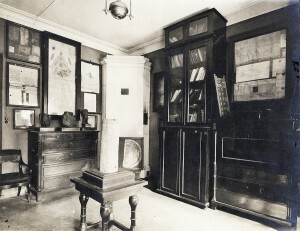 The Paleography museum in the structure of the Academy of Sciences of the USSR; 3. The displays from the Paleography museum collection. Official opening will take place on September 18, 2015. Saint Petersburg Institute of History of the RAS suffered an irreparable loss. One of the most outstanding scholars of the Institute Boris Vasilievich Ananich died on July 20, 2015 in the age of 84 years. 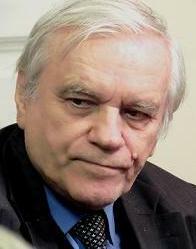 Boris Vasilievich has worked in SPbIH since 1956. Being a striking representative and a passionate patriot of the Petersburg school of history studies he was one of the most prominent specialists in the Russian history of the second half of the 19th – beginning of the 20th century, whose books and articles were well known by both home and foreign scholars and could be included in the capital of Russian science. Boris Vasilievich was a wonderful man, democratic, cordial and really decent. He supported a lot of people and educated and trained a whole pleiad of progeny. His death terminates an epoch in history of the Institute. Let an outstanding scholar and honorable person be remembered forever. Civil funeral will be on July 25, 2015 in the Saint Petersburg Institute of History of the RAS at 12.00. The funeral will take place at Smolenskoye cemetery at 14.00. Publishing house «Al’yans-Arkheo» in a series of books “Tikhvinskii arkhiv” (“Tikhvin archive”) issued a new book “Materialy po istorii Uspenskogo Tikhvinskogo monastyrya”, vyp. 1: Akty i materialy pistsovogo dela, ch. 1: 1560—1644 gg. M., SPb., 2015 (“Materials on history of Tikhvin Assumption monastery”, issue 1: Acts and penmen materials, part 1: 1560-1644. M., SPb., 2015) compiled by O.A. Abelentseva. ISBN 978-5-98874-110-7. A series of books “Tikhvinskii arkhiv” (“Tikhvin archive”) aims to publish documents on history of age-old Russian town Tikhvin. Revealed and published documents from the fund 132 “Tikhvin Assumption monastery” of the Archive of SPbIH of the RAS on different aspects of medieval history of Tikhvin will compose this series. The book is published as a part of the grant project of Saint Petersburg State University “Monastyri Severo-Zapada Rossii: istoriya i arkhivnoe nasledie” (“Monasteries of the North West of Russia: history and archival heritage”) 5.38.680.2013. 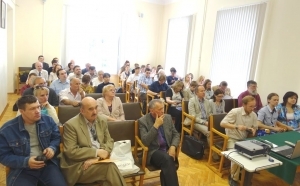 19th All-Russian scientific conference “Penmen books and other mass sources of the 16th-21st centuries”, timed to the centenary of Alexander Ilich Kopanev was conducted from July 1 till July 4. Opening, plenary session and sessions of sections on July, 1 took place at Saint Petersburg Institute of History of the RAS, while on July, 2-3 the conference’s sessions and round table were conducted at the Centre of history studies of Saint-Petersburg campus of the National Research University “Higher School of Economics”. More than 50 scholars from Moscow, St Petersburg, Novgorod, Pskov and other cities participated in this conference and delivered their reports. 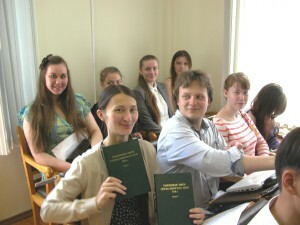 Scientific-research paleography practice for students from Petrozavodsk State University was conducted from June, 29 till July, 3 at Saint Petersburg Institute of History of the RAS. First-year, second-year and third-year students from the Department of History participated in this practice. During the period of practice the scholars of the Institute delivered summarizing lectures and carried out several practical studies on different subjects concerning Russian and European paleography, sigillography (sphragistics) and some other problems of source studies of Middle Ages and Modern History.